Which of the following is a cure for a hangover? Based on scientific studies, which group of men have lower IQs? What is the lifetime risk of developing Cancer for a man in the U.S.? Based on the study, who is more likely to say "I love you" first? Passed! You're at the top of your game! Way to go! 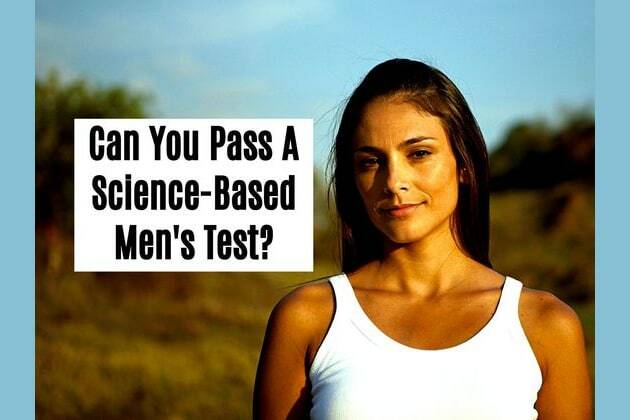 You passed a science-based men’s test that only 4 in 100 women can. Your curiosity is highly developed, and you have interest in experimenting and doing things differently. You're not afraid to ask probing questions or admit when you're wrong, but you will never settle for less than you deserve. Share this quiz to test every woman you know. Flunked! Now test your girlfriends! You really flunked this one. But no worries... only 4 in 100 women passed this science-based men's test. "Men Are from Mars, Women Are from Venus... A recent study gave this scientific men's quiz to 100 women and only 4 passed. Can you beat these odds?"